Addiction plagues a majority of society with many families with one or more addicts. This transcends income level, gender, religion, and race as all communities deal with one addiction epidemic or another. Starting a successful drug and alcohol residential rehab program not only can be rewarding personally to see residents thrive and overcome their addiction but it can come with vast financial rewards as well. Not all of these programs are successful though, with some having a much lower relapse rate than others. This could be due to the program itself or the state that the program takes their resident in. Detox as well as rehabilitation needs to be done with care, as small things that others find menial could be blown out of proportion as an excuse for an addict to leave treatment. The following are what you need to think about when setting up a residential rehab program to set it up for success. 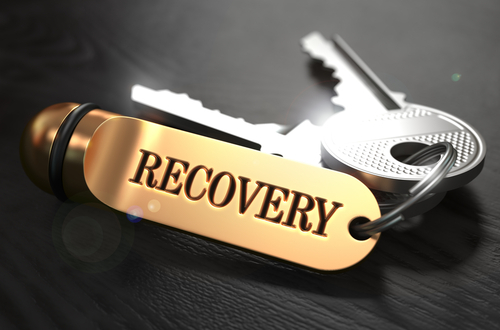 States differ on the requirements to open up rehabs that address all phases of recovery. The best thing that can be done is to set up a checklist with the certifications an licenses that are needed. This is not only important for the treatment center but it is also important for staff in certain positions. Lack of these accreditations can lead to numerous problems like that of not having certain insurance companies cover the recovery of an addict. Sitting down with another treatment center in your area or elsewhere the state to go over what is need is wise as you do not want a random lack of certification in one area to stunt the programs growth. Treatment is a first step but going out into the world without support of a treatment program can be tough. This not only is the case but also addicts at times need to get out of a toxic situation in order to help in their recovery. This is why plenty of people go out of state for rehab as they do not want to fall into the same habits and routines that they did before rehabilitation. This partnership between programs can allow transfer of an addict both to and from your facility. Consider this and reach out to those programs that you believe align with the qualities and characteristics of your own. Marketing for a residential rehab is all about education of addicts as well as their families. An addict might not understand that they cannot overcome an addiction on their own if it has progressed to a certain extent. An addict could be using to overcome or negate symptoms of an underlying mental illness. Understanding Seroquel and other drugs used to help treat these illnesses and aide with detox is imperative. Someone who is bipolar could be prolonging their manic moods with a stimulant or their depressive states with someone that deadens feeling like that of heroin. The marketing teams for these treatment centers can have great blog content along with reaching out to publications to contribute content. Getting the eyes of an addict or the family of an addict on a specific article can be a lifesaver. The staff needs to be experienced in dealing with addiction but getting former residents involved could not be more important. Seeing a person who has overcome addiction and works on their sobriety daily can be a huge inspiration for those people just arriving and going through the symptoms of detox either physically, mentally, or both. Depending on the perks given to potential staff it can be easy or difficult to find those working in this area of health to join your program. Make sure that everyone that deals with patients understands the overall program and contributes to the well-being of the addicts involved. A tough part about addiction is that of criminal charges that come with the territory when feeding an addiction. This can make it nearly impossible to find a job after recovery which can lead an addict to start using their drug of choice again. Local businesses that employ the addicts from your treatment center can receive quite a bit of good PR. The guarantee that can be made to the business is that the residents will be drug tested regularly. The last thing that a business owner wants is to do something great for addicts only to have an employee from your treatment center steal from them. These drug tests will help them ease their minds and even find staff for the foreseeable future. Once this has been done successfully at one business then branch out to more as the business owner can be a point of reference. Starting a residential rehabilitation program is not going to be easy but it is possible. Take the time to put the addict first and your program is sure to be a success!